The Class 40 Preservation Society’s split-box Type 4 No. 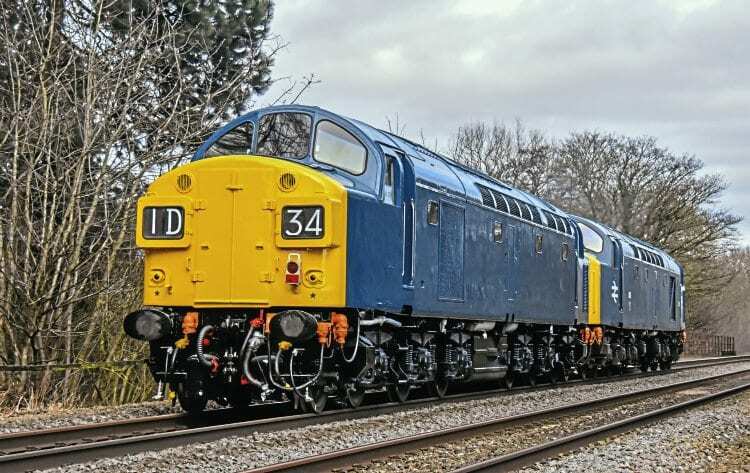 40135 was returned from Derby to its base at the East Lancashire Railway on February 17 after being repainted into BR blue livery at Loram. The loco was hauled by centre-headcode classmate No. 40145, pictured en route at Chevin near Belper in Derbyshire. No. 40135 was due to work at the ELR’s diesel gala on February 18/19, but was prevented by an electrical fault.